Game on! Indulge your passion for a very grown-up type of play in the 24-hour excitement of our spacious, luxurious casino. The variety is unbelievable and the atmosphere, electric. With everything conveniently located on one expansive level, you’re sure to find a diversion that matches your mood. Ready to take a chance on fun? Win your share of $3,000,000 in prizes, including a Mercedes-Benz! FOOD & BEVERAGE REWARDS AND MUCH MORE! EVERY SCRATCH-OFF TICKET IS AN INSTANT WINNER! At 7pm, one lucky winner will win a Mercedez-Benz! Earn one scratch-off ticket and one drawing entry for every 250 slot points. Earn 300 Slot Points on the day of the tournament for your chance to win a share of $50,000 in FREEPLAY®! Visit an M life® Rewards kiosk beginning at 12PM to register. Must be registered by 7PM. See M life® Rewards desk for details. All tournament rebuy players are eligible. Participant(s) must be present to advance. All tournament players are eligible. Participant(s) must be present to advance. Win up to $10,000 in FREEPLAY® Guaranteed! 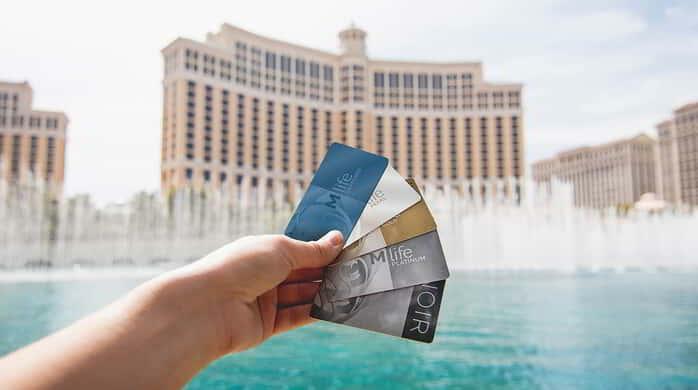 Swipe your M life® Rewards card at any kiosk on the date of enrollment to play the New Member Game. Baccarat, Blackjack, Craps and Roulette are just a taste of what's available. Experience the rush. Take an exhilarating spin with more than 1,800 of the newest, hottest slot games available anywhere.